Post Malone scores the No. 1 album worldwide with beerbongs & bentleys entering straight in at the top of the chart with 603,000 equivalent album units sold. Congratulations! Debuting at No. 2 we have Kis-My-Ft2’s Yummy with 217,000 units while Keith Urban's Graffiti U debuts at No. 3 with 203,000 units sold. 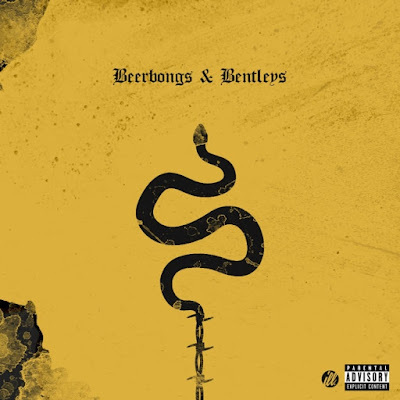 Post Malone conquista o álbum #1 mundialmente com o seu mais recente trabalho, beerbongs & bentleys, a entrar diretamente para o topo da tabela de álbuns mais vendidos mundialmente com 603,000 unidades vendidas! A entrar no #2 temos Yummy dos Kis-My-Ft2 com 217,000 unidades e a entrar no #3 temos Graffiti U de Keith Urban com 203,000 unidades vendidas!